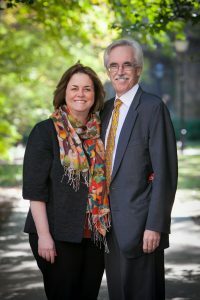 Larry and Cathe McEnerney have served as Resident Deans for Renee Granville-Grossman Residential Commons East since Autumn 2009. They both received their BA degrees from the College of William and Mary. 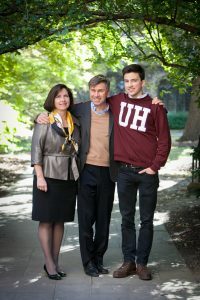 Larry has his MA from the University of Chicago and is Director of the University Writing Programs, as well as, a lecturer in the College. Larry consults throughout the world for writing and communications, his clients including universities, institutes, governments, law firms, and businesses. He is also President of the Board of Graduate Arts & Sciences at the College of William and Mary. Cathe is a proud native of the Commonwealth of Virginia, and “don’t y’all forget it!” She is a board member of Bishop Anderson House at Rush Medical Center; board member of Brent House; Convention Planning Chair for the Episcopal Diocese of Chicago; stitcher, designer, and teacher of needle arts. Philippe Guyot-Sionnest and Caryl Gout have served as Resident Deans for Renee Granville-Grossman Residential Commons West since Autumn 2014. Philippe studied Engineering at Ecole Polytechnique and Physics at Universitè Paris-Sud before receiving his Ph.D. in Physics from University of California, Berkeley. Currently, he is a professor of Chemistry and Physics at the University of Chicago. Caryl has a BA in Journalism from Rhodes University in South Africa and is now a small business owner in downtown Chicago. Originally from France and South Africa, respectively, Phillppe and Caryl bring a wealth of international experiences and interests to Renee Granville-Grossman Residential Commons West. Architect: Goody Clancy & Associates, Inc.
Renee Granville-Grossman Residential Commons opened in the Autumn 2009 and features modern design while maintaining the traditional focus of the Houses. 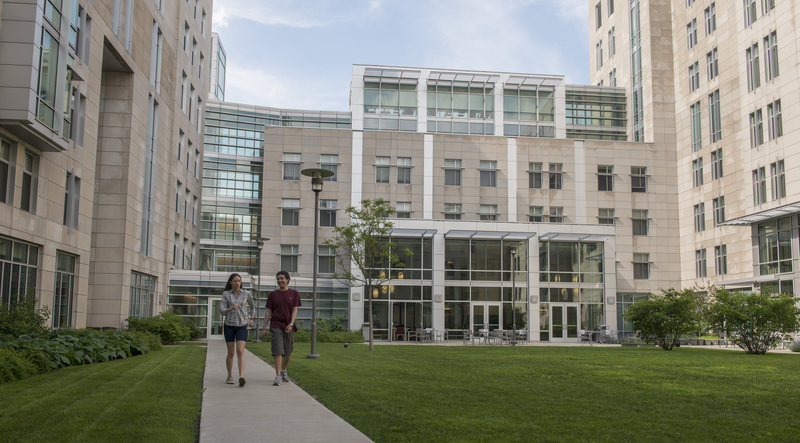 The Hall houses eight vibrant communities around two courtyards, defining two distinct residence hall communities (East and West), each with their own complement of Resident Heads and Resident Assitants, charged with community building. The Hall has two Resident Dean couples, (one for each side) who act as intellectual stewards for the residents. 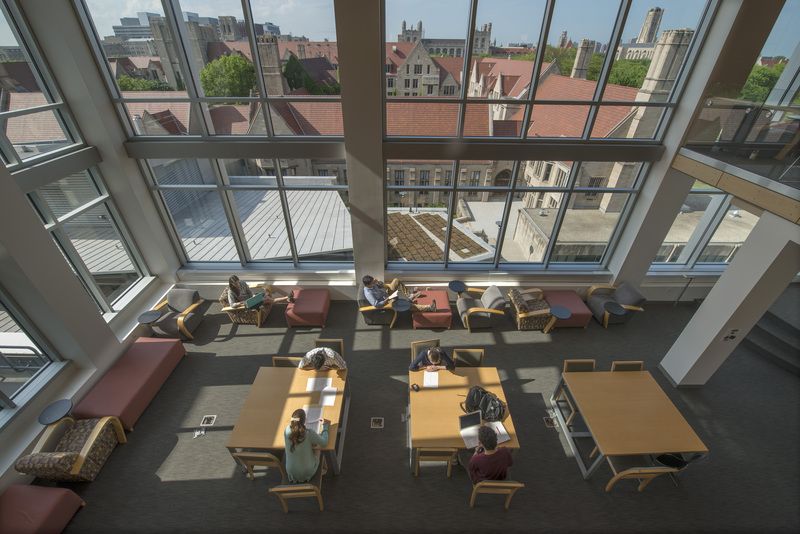 “Living in Housing has made my transition to UChicago so much easier. There’s always someone to talk to and you have a solid support system of RAs, RHs, etc.” Malak A.